I ran cross country and wrestled in High School. Currently, my hobbies consist of anything to do with running: race directing, timing, and training. I ran cross country and wrestled in High School. The day before the race I also load up on Pizza or Pasta. Then before the race I might have something small like a cliff bar. During the race, I only take in GU's and water/gatorade. Variety of People. Huntington Road Runners Club, Tallman Track Club, etc. Sub 2:55 marathon this year at the Cleveland Marathon in May. To one day, put on my own Marathon. I run for a few reasons. 1. I am made for the marathon. I was told this a few years ago by a friend and I didn't believe him...but after running them for the past few years, I do. 2. To stay in shape and have fun doing it. 3. To travel to different states. 4. 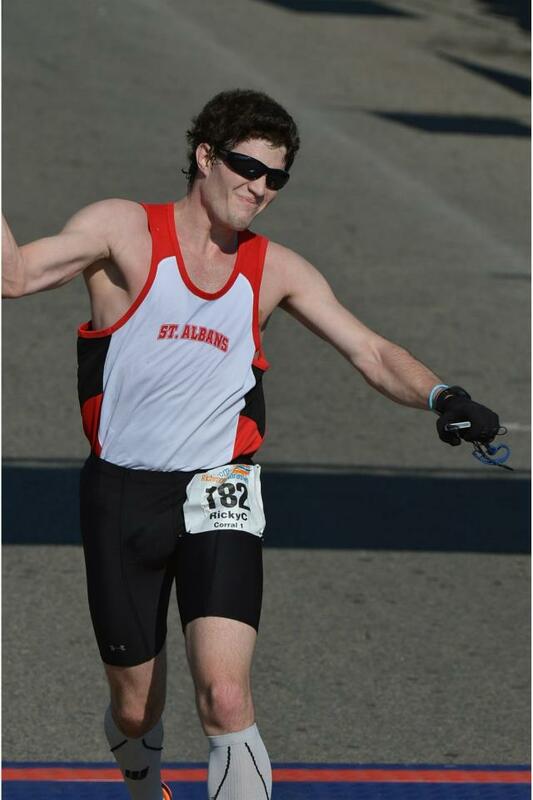 The feeling I get when I finish a marathon. It cannot be explained unless you have been there. 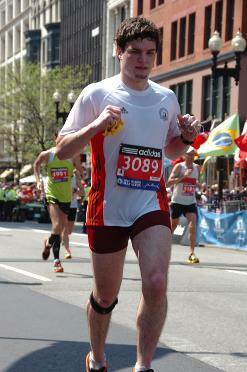 My best marathon memory has to be the 2012 Boston Marathon. Not because of the time I got, because actually it was my slowest time to date, but because I had accomplished my goal. A goal that I had worked to achieve for two years. I had my girlfriend and family there to support me and we kind of made it a mini family vacation. The whole town comes together as one and it is really amazing to see it throughout the whole weekend. I wanted to start pacing because I am a strong runner. I did a pace group in Carmel, Indiana, in 2013 and had a blast talking to the runners around me and just running for fun. I believe I will be able to help others meet their time goals and also this will help me accomplish my goal of running a marathon in each US State. At Carmel, Indiana. I helped pace my friend to a BQ in his first ever marathon and it was awesome to watch him finish. To have fun and achieve their goal at the same time. Do not pay attention to your Garmin. Look at the signs on the course and the clocks along the way to keep your pace. Enjoy the marathon and don't worry about the time. I have put on 9 races in my community, raising a total of $18,000 for various organizations. 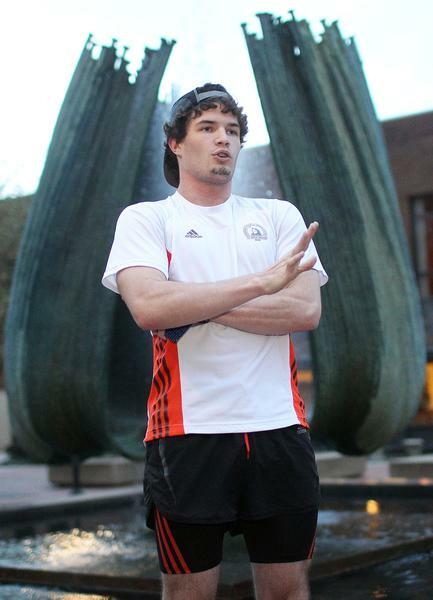 I organized a Candlelight Vigil and 2.62 Mile Group Run for my Running Club in Huntington, West Virginia, the day after the Bombings at the Boston Marathon.